How is SDS different from a cloud solution? 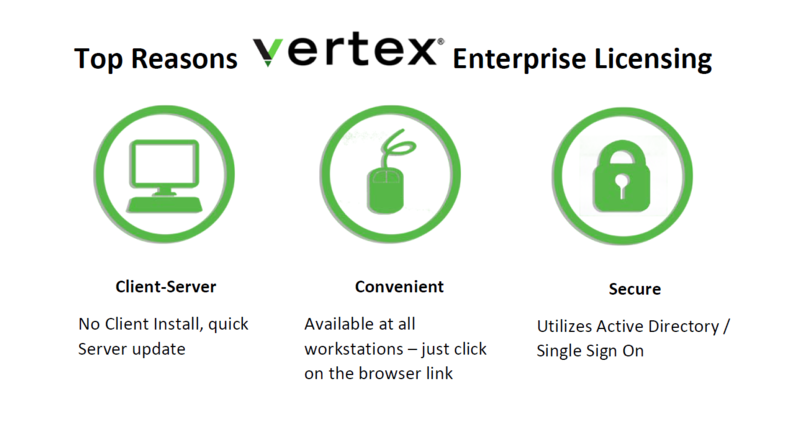 Vertex SDS sends directly to another facility avoiding the third-party cloud environment. Is Vertex SDS storing my data in the cloud? No. SDS is Direct Secure DICOM Connection – absolutely no cloud storage. Yes. Not only is the data encrypted, but the transfer is also secure. Do I need Vertex on both sides to communicate? No. 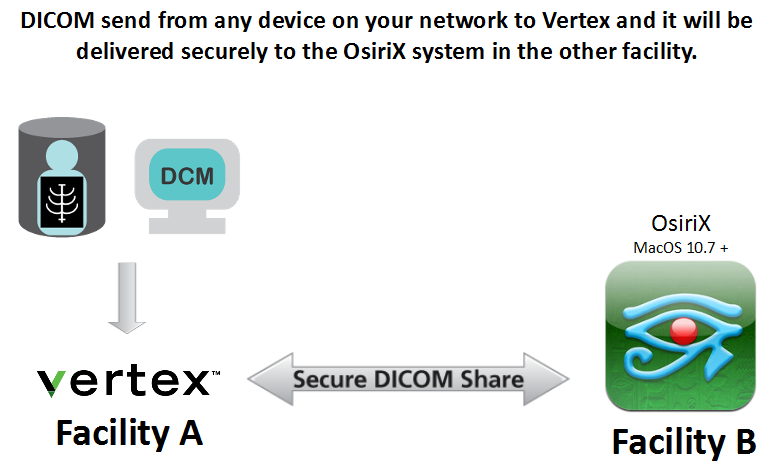 Vertex conforms to the DICOM standard so it can “send to” and “receive from” any product conforming to DICOM PS 3.15-2011 Annex B – such as OsiriX. Why is this helpful to my Referring Physicians? They avoid the cost of setting up and maintaining VPNs. They can also send to and receive from multiple sites with one set up. What if I also want to use a cloud solution? Vertex supports cloud solutions so you can also share via your favorite cloud. Can I continue to make CDs? Yes. 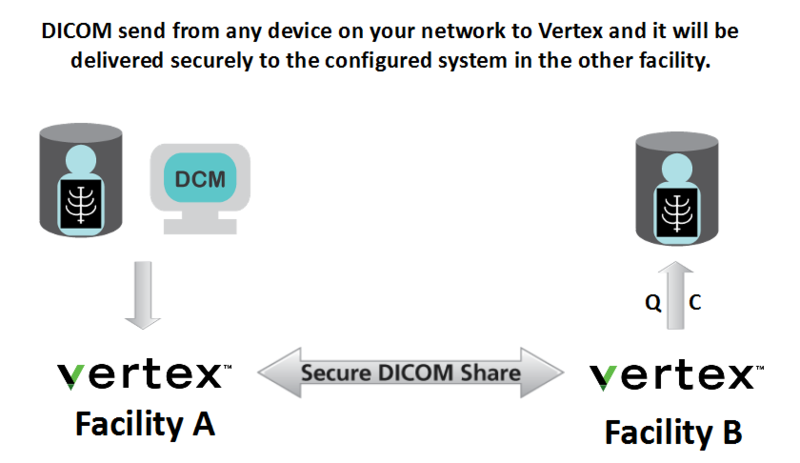 With proper options, Vertex can make a CD/DVD while sharing using SDS and connecting to your cloud solution – automatically. 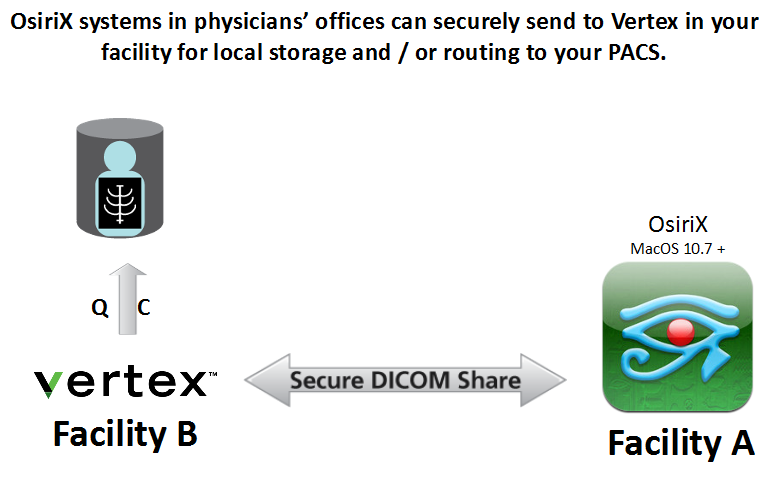 See how Non-Cloud Secure Dicom Share, compares to typical cloud solutions!